Today, AMD is announcing the launch of an expansion to their memory line – the Gamer Series of Radeon memory. The new kits are very similar to the previous series and come outfitted with low profile aluminum heatsinks and black PCB. 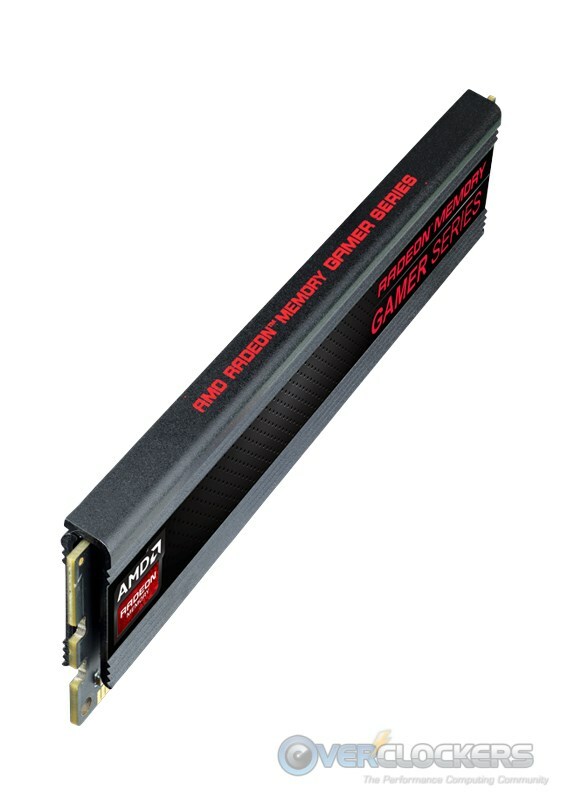 When you buy the Gamer Series kit, you also get AMD’s top RAMDisk software, which lets you use up to 64 GB of memory for a RAMDisk. 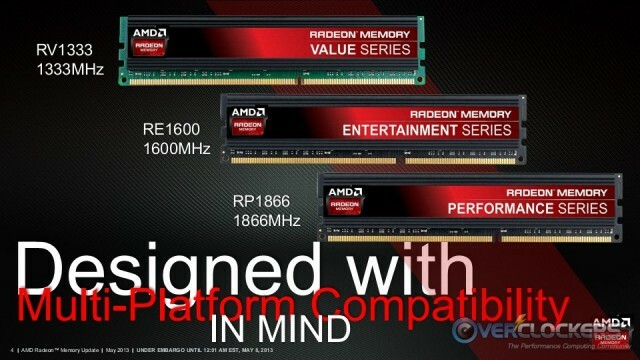 AMD first announced their incursion into the memory market back in November of 2011, with speeds up to DDR3-1866. Bobnova actually reviewed a 2×4 G Entertainment Edition DDR3-1600 kit and it performed pretty well, especially at its price point. Gamer Series is rated faster than the previous AMD kits. The Gamer Series comes in a 16 GB (4×4 GB) kit and are rated for 1.65 V, DDR3-2133 and CL10. 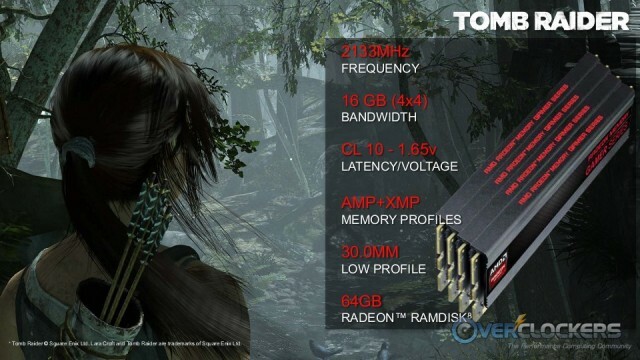 They also come equipped with AMD’s AMP and Intel’s XMP profiles. 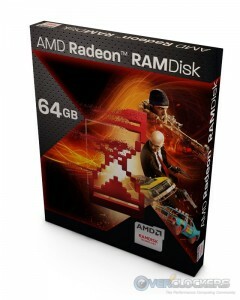 As mentioned, they come with 64 GB Radeon RAMDisk software. We’ll get to that in a little bit. The real question is: Why did they choose to put a Tomb Raider screenshot and title in this slide? 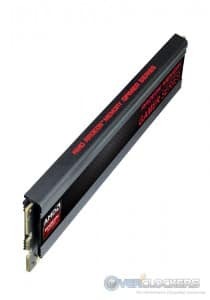 They didn’t elaborate too much on the enhanced AMP profiles (such as how they can get this kit to run CL 7…), but the Gamer series comes with AMP profiles to add flexibility and ease to your memory clocking experience on AMD platforms. Now we get to the performance slides. APUs are heavily dependent on memory speed, and with faster memory comes higher FPS. When compared to the 8 GB DDR3-1600 Entertainment Series kit you can see healthy gains going to Gamer Series speed memory. 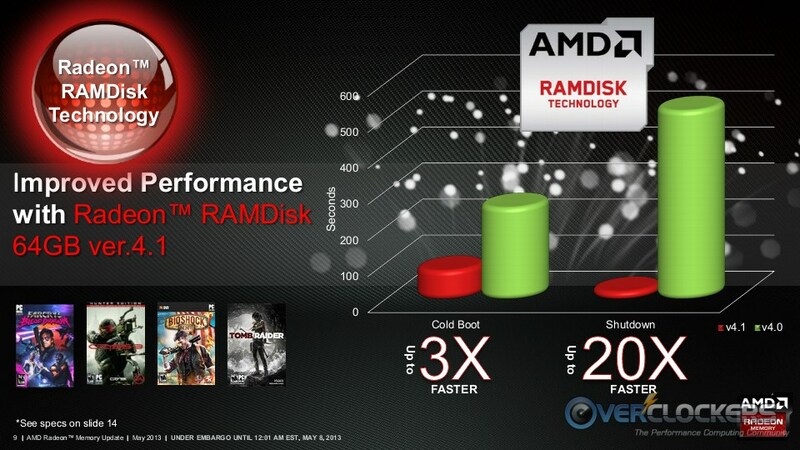 The new RAMDisk software allows faster boot up and shutdown over the previous version. So AMD has given a decent value-add with their memory, an $18.99 value, but it is admittedly just a little odd giving people 64 GB RAMDisk software when you only have 16 GB of RAM. Before looking at the next slide, you should know the specs – these tests were run on a system I’m sure brought out the best results, but it’s a couple generations old at this point: an Intel i7 930, ASUS P6TD Motherboard with 24 GB DDR3-1900 vs. DDR3-1066. So while you see massive gains in this triple-channel configuration, you probably won’t see quite this kind of difference in your average dual-channel system. 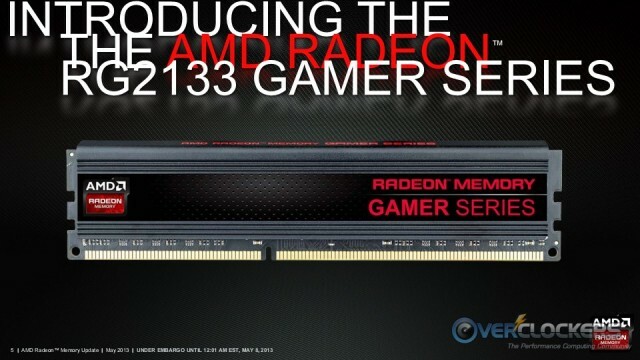 A 4×4 GB DDR3-2133 CL10 AMD Gamer Series memory kit will run you $154.99 and they’re available on Newegg starting today, which is right where it should be based on the current memory market. There’s no lack of competition at the price point, but if you’re looking for a low profile kit with these specs, the included RAMDisk addition might just make it worth considering. Earlier kits were made by Patriot , they just had AMD label and I bet this time is the same. 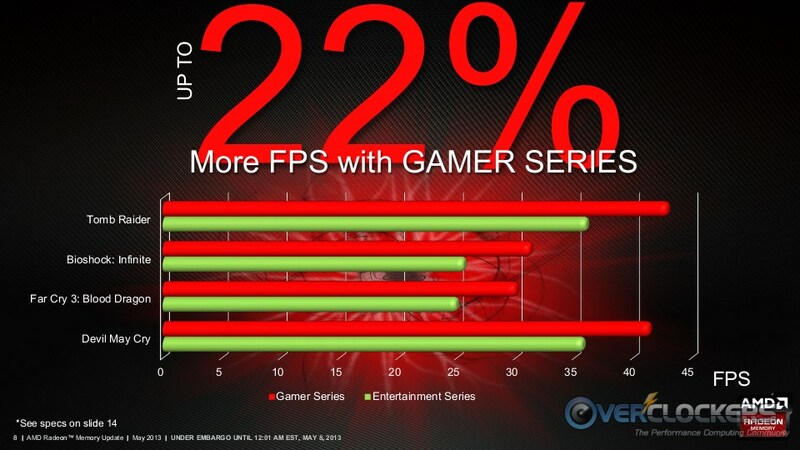 That performance up to 22% better than entertainment series is interesting. Probably they are using 1066 CL9 kit vs 2133 CL10 and even then I don't think it will be so high difference as AMD is almost not scalling above 1866. Usual marketing stuff. 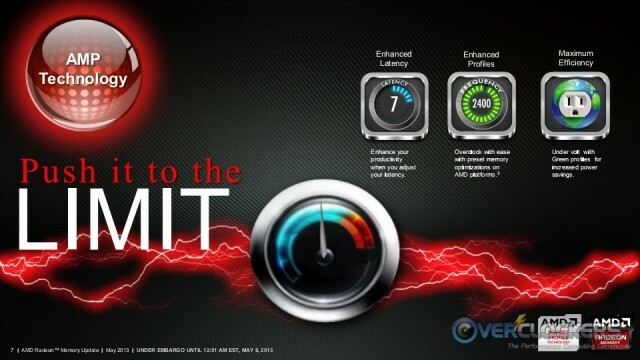 APUs are heavily dependent on memory speed, and with faster memory comes higher FPS. When compared to the 8 GB DDR3-1600 Entertainment Series kit you can see healthy gains going to Gamer Series speed memory. You're absolutely right though, usual marketing stuff. 22% is a big number, but the real difference is ~5-7 FPS, which is a decent increase that translates to a large percentage when you're starting at ~25-35 FPS. 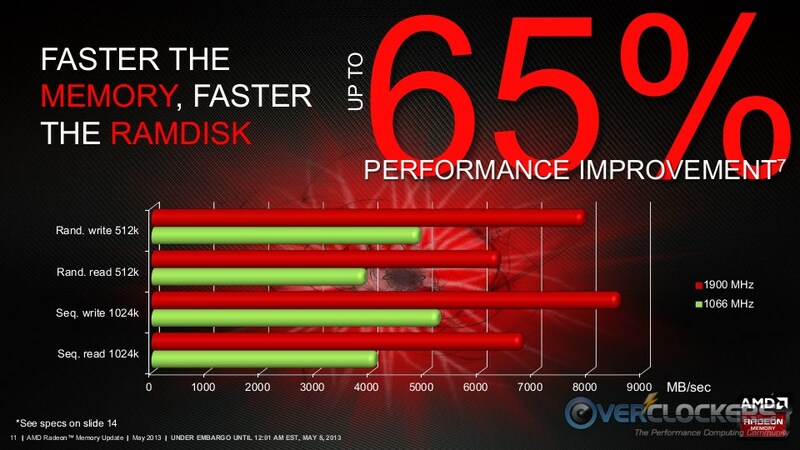 Seriously, how many people running Intel chips are going to go out and buy AMD ram? I would bet most of the un informed people will think that the AMD ram isn't compatible with an Intel chip. None, but there's no reason not to. It's just like when companies started branding their sticks as Core i5 and Core i7 memory (probably for kickbacks from Intel). The average user running AMD probably thought it wasn't compatible with his CPU. At least AMD memory has both AMP and XMP profiles. Let's see if they have success competing in this cut throat market. 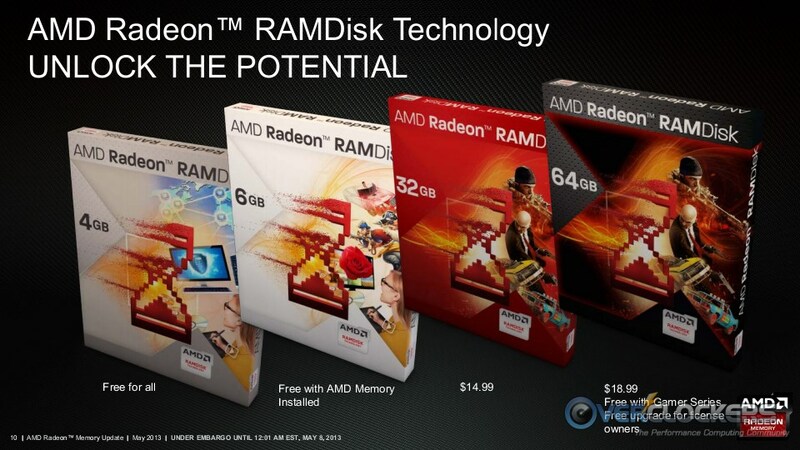 Personally, I'd rather see AMD specializing then diversifying right now, especially in such a low margin business. On SB the "designed for p67" thing was actually quite important. High speed memory that didn't have that marker rarely worked well, or at all. 2133 c10 isn't likely to light antibodies pants on fire, but it's not bad. If it happens to oc like zomg that'll change things of course. I'm happy to see the low profile heatsinks, I'm tired of the huge useless ones. Everyone's a critic when it comes to AMD's business plan. AMD has been making, and selling, memory for some time now. This is just a new series.